Whether it’s your first Mother’s Day or you’re a seasoned pro at being celebrated, today has probably been a day to step back and reflect on motherhood in all it’s messy, sleepless glory. But not every mom has that luxury. There are countless soon-to-be mothers around the world who have a very different journey through pregnancy and life with a newborn. They can’t afford healthcare or even transportation to a hospital, putting their lives–and the lives of their unborn children–in jeopardy. But luckily, 90% of maternal deaths can be prevented with access to basic healthcare services. So if you’ve been on the receiving end of a lot of love and generosity today (and throughout your time as a parent), give back with Kangu, a crowdfunding website that helps deliver lifesaving prenatal, delivery, and postnatal care to women in developing countries. You can search stories and photos of pregnant women and contribute $10 or more toward an individual mother’s care. 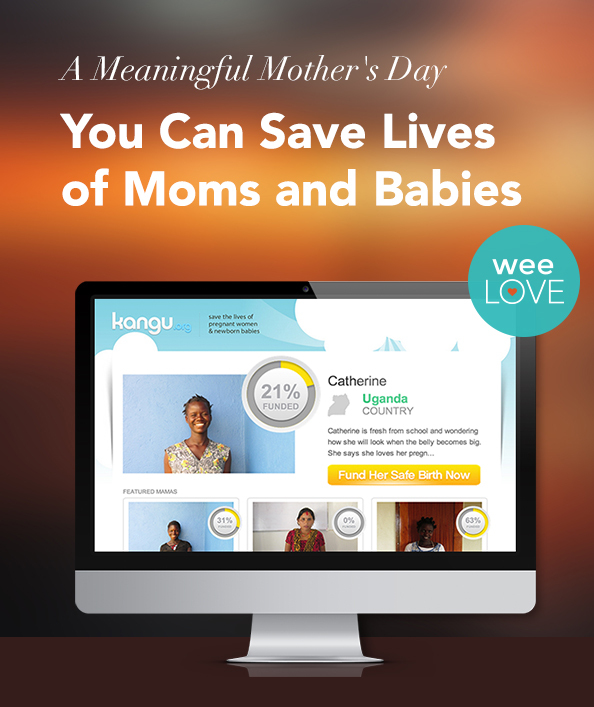 Kangu will email a Mother’s Day card to your recipient and send you both updates following the birth. On Mother’s Day and every day, we all want the best for our families. Let’s join together to make that possible for Kangu mamas too. Happy Mother’s Day! Next story Free Uber rides for newborns in NYC!